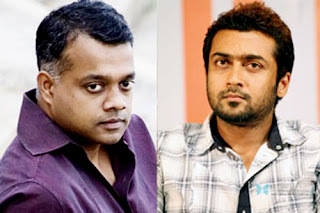 Suriya, Gautham Menon to team up again? Gautam Vasudev Menon and Suriya were earlier supposed to team for Dhruva Natchathiram, but the project was dropped after Suriya openly announced that he had waited long for Gautham for the film and he could not wait any longer. The statement came as a shock to all, as Gautham menon and Suriya usually share a good rapport. Gautam Menon revealed that he was initially disappointed with Suriya’s decision of opting out of Dhruva Natchathiram, but it was a temporary indignation between the duo. “It’s true that I was pained by Suriya’s outright rejection of the project, as he knows my filmmaking style. But I realized that why one should miss a good actor like Suriya. I will approach him for a possible project soon,” said Gautham Menon.